2.7 inch TFT screen and CMOS sensor, clearly shows all details.8X digital zoom makes sure the enlarged images has no distortion. 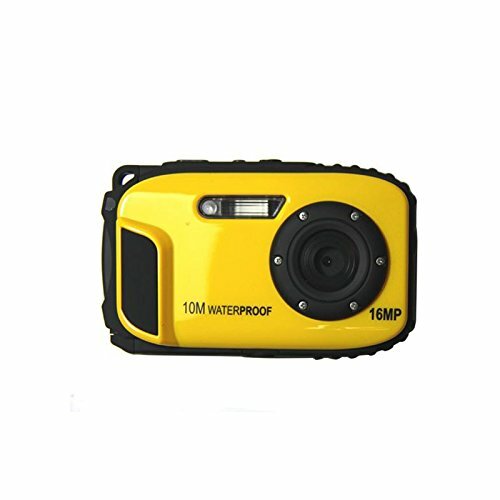 10m waterproof / 1m shockproof / -10 Deg.C freeze-proof. 1280 x 720P HD video resolution and 16MP image resolution. Support external SD card up to 32GB ( The SD card is NOT included ). If you want to buy spare batteries, you can search: 3.7V 550mAh Rechargeable Li-ion Battery. If you have any questions about this product by KINGEAR, contact us by completing and submitting the form below. If you are looking for a specif part number, please include it with your message.